This topic contains 9 replies, has 7 voices, and was last updated by Skillman 1 year, 8 months ago. I’m not sure if there is a thread on showing off your tile work . I did a google search and came up with nothin . 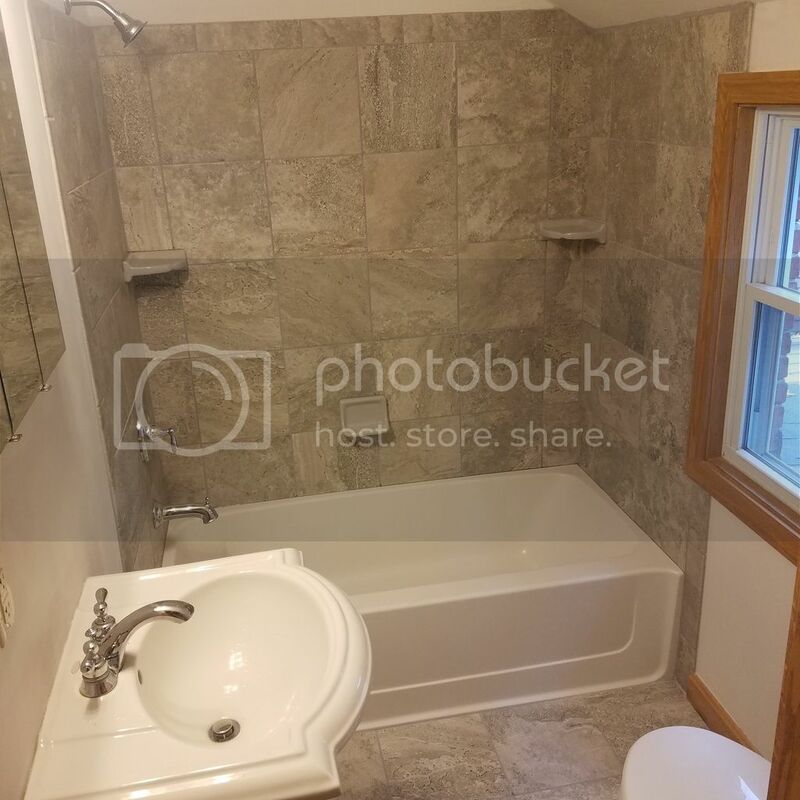 So maybe we can post our tile pictures here . 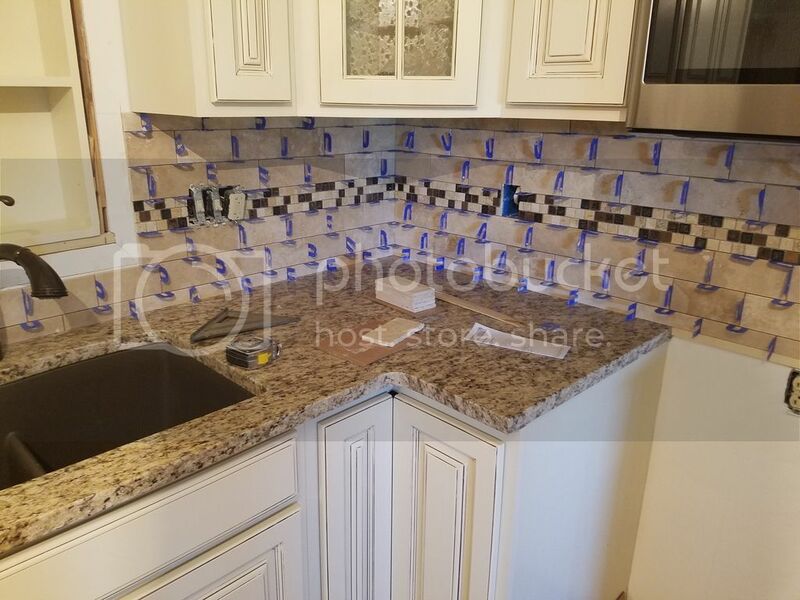 I recently completed a kitchen backsplash using sheets of stone that were 8×16 . These tiles are set with no joints . So it butted tight to each other . I had a few problems with some of the full sheets . The spacing was off trying to connect to the next tile . So I Cut those fingers out and install new pieces from a scrap sheet . If there were grout joints i could of gotten away with just leaving it . Plus there were so my outlets , switchs , cable box’s in this backsplash it really slowed me down doing the cuts . I really underestimated my time for this one . One thing I will say is that the mesh holding the stone pieces on were super strong holding power . Didn’t fall off like i had experienced with similar products . Great thread idea…I will toss in a few pics to get things rolling. I recall a thread dealing with Bathroom renos but could not track it down. Small bathroom reno from a couple of years ago. 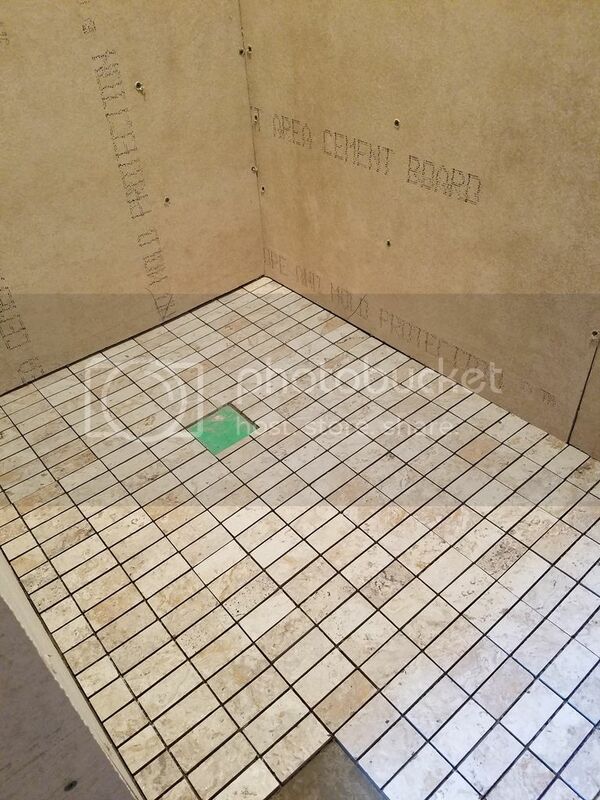 12″ x 24″ floor tile. 8″ x 10 wall tile. I framed the window with floor tile to brake up the wall tile. Just realized my pictures never came throw lol . 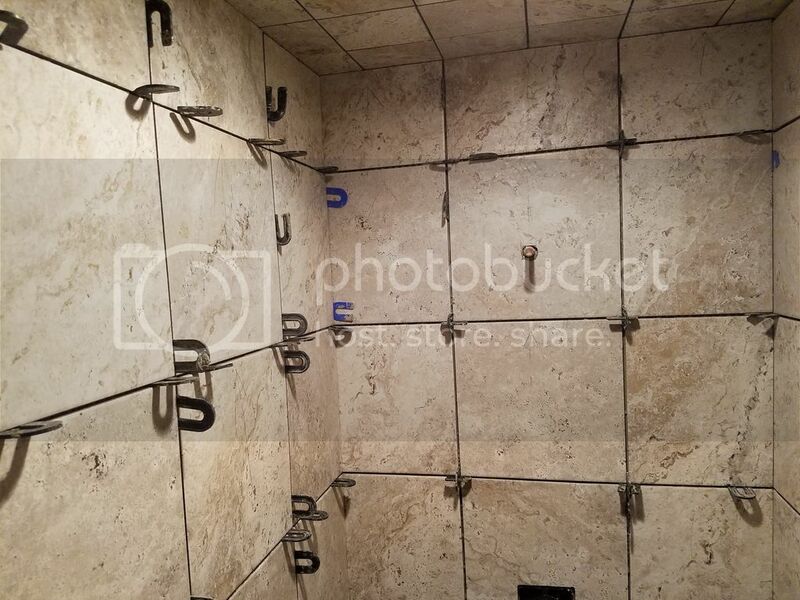 Simple shower tile design and layout with factory built shelves . Walls are wonder board covered with redgard to make it waterproof for years to come . @chadm I like the color of the tile in the bathroom shower (5th pic). Very cool. Nice thread idea, and great pictures so far. Looking good so far Skillman. Nice work. Here is another kitchen tile backsplash we did . Came in sheets of glass and Aluminum .